An updated version of the Captain America graphic, now on the flagship RPHA 11 Pro. 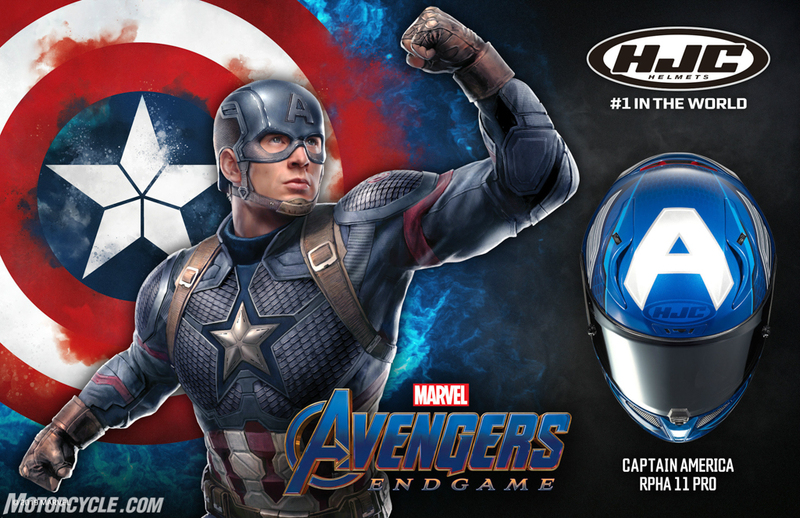 If you watched the last Avengers movie, it is time to bring Captain America back… with your motorcycle helmet, that is. 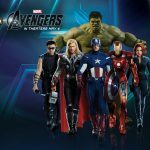 Back in 2016, HJC released their original three Marvel graphics: the IS 17 Iron Man, CL-17 Punisher and, of course, CL-17 Captain America. 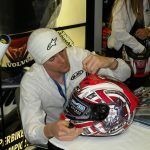 Since then, HJC has launched 11 more Marvel-themed motorcycle helmets, and each design seems to be more impressive than the last. 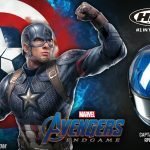 As the leader of the Avengers, it only makes sense that HJC would have to release another version of the Captain America helmet, and this one is outstanding. The helmet looks as if it was designed for the world’s mightiest hero if he had to save the world by winning a MotoGP race. HJC’s Captain America graphics have developed from 2016 to 2019 like his suit developed from the comics to Avengers: Endgame. The new helmet graphic has texture, detail, and a high-tech feel, while still paying tribute to the WWII American hero that fights for everything that is right in the world. 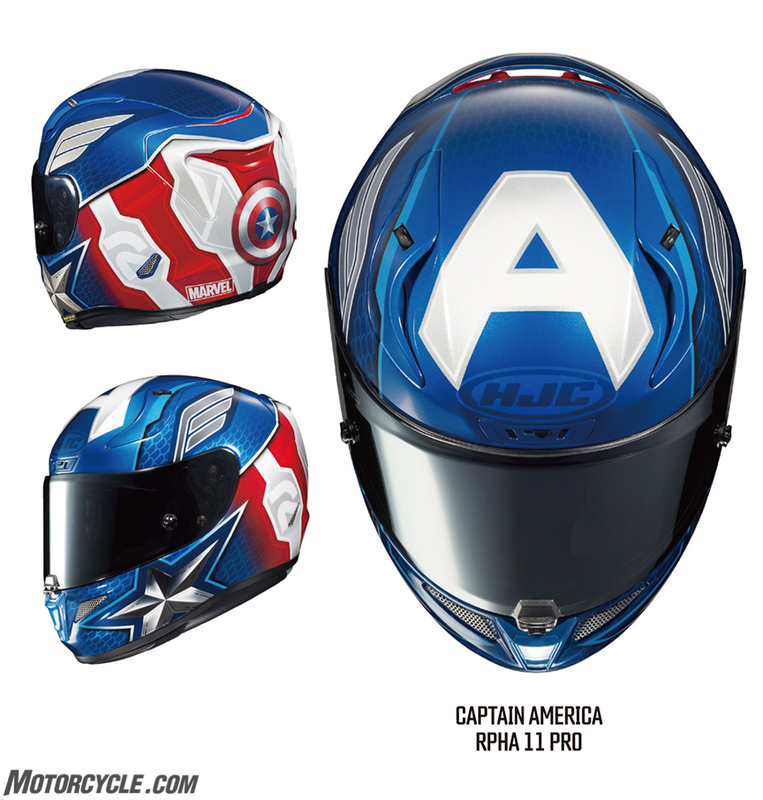 To hold onto authenticity, the RPHA 11 (Pro) Captain America still features Cap’s iconic “A” on top and his polished vibranium shield on the rear. No one needs to know that Steve Rogers is not behind the visor. 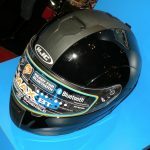 The RPHA 11 (Pro) helmet that will feature this graphic is HJC’s premium sport helmet. It was designed for the race track with an aerodynamic shell structure composed of HJC’s Premium Integrated Matrix (P.I.M. Plus) shell material for enhanced shock-resistance in a lightweight helmet. 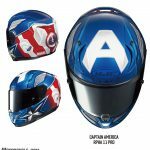 Keep an eye on the track as some of HJC’s MotoGP and MotoAmerica racers will wear the Captain America graphic in their 2019 race season. 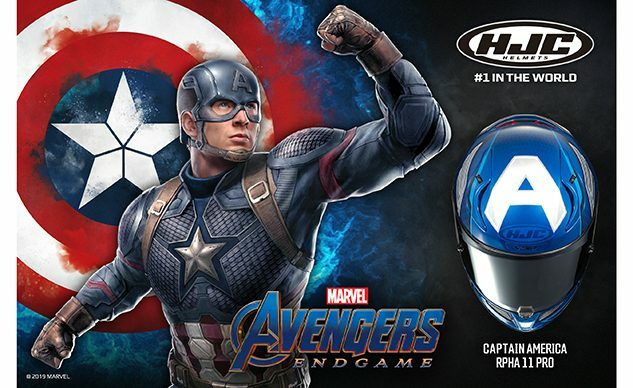 HJC is excited to announce their latest Marvel-licensed helmet with Avengers: Endgame in theatres.